An accident at Itaguai terminal in Rio de Janeiro state has caused iron ore loading to be suspended there, according to Reuters. The delay has led to a handful of backlogged capesize bulk vessels being put back in the charter market. Itaguai terminal is operated by Brazilian mining and steel company Companhia Siderurgica Nacional (CSN). Brazil’s long-waited Sudeste port is slated to start ore operations by January 1, Brazilian steelmaker and mining company Usiminas said. “We received an official communication from the port owners stating the beginning of its operations on the first day of 2015,” Ronald Seckelmann, Usiminas executive director of finances and investors relations, said in a meeting with analysts and shareholders. Usiminas has a take-or-pay agreement of $12.63/mt of iron ore with port controllers. Sudeste port confirmed starting operations in January, but said construction works are to be concluded next month. “The port may have the opportunity to make a first iron ore shipment in December,” said a port press officer. 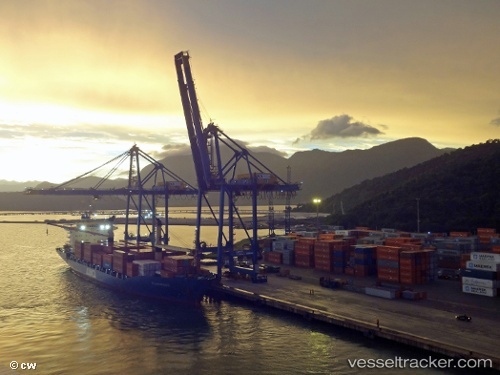 According to Seckelmann, initial port operations will only allow Panamax vessels to berth, but it is expected to handle larger vessels, such as Capesizes, within 40 to 60 days after startup. As previously reported, Mineracao Usiminas (Musa), the mining arm of Usiminas, expects to export at least 8 million mt of iron ore in 2015. The company halted exports in the third quarter of 2014 due to a lack of port facilities. Brazil's third-largest diversified steel group, Companhia Siderurgica Nacional, is interested in participating in the construction of an iron ore port in Rio de Janeiro state, it said Tuesday, Platts reports. "We are preparing ourselves to take part in this deal," CSN said in a conference call on its fourth-quarter earnings. Bidding for the so-called Area do Meio port area in Itaguai is expected to be opened this year. The projected port is near CSN's existing Tecar port, which exports iron ore and imports coal.